The style of our pottery is the culmination of over thirty years of being full time potters. Our primary intent is to create warm, functional pottery that is intended to be used in the home where it gains it’s significance in how it contributes to the daily cycle of living. We use Texas Clay, employing several local slip clays and wood ash for many of our glazes. 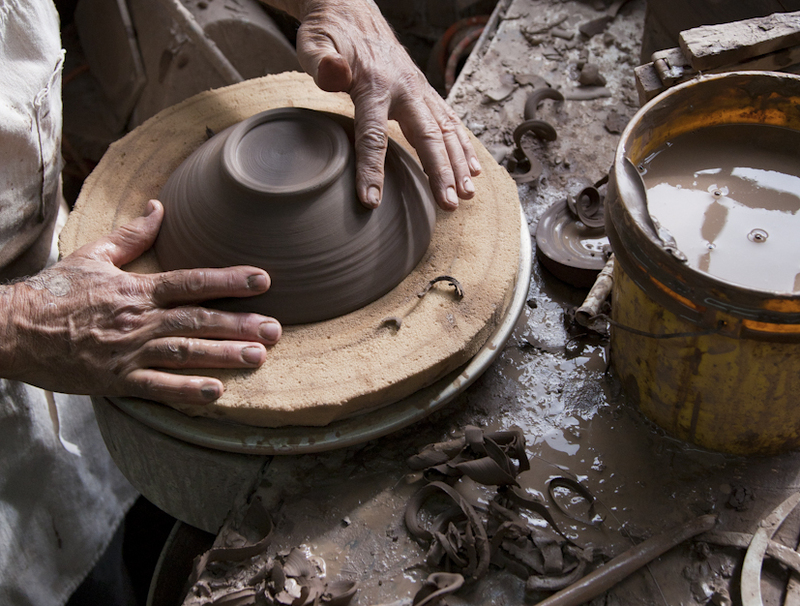 The clay is formed on a potter’s wheel or hand built from slabs or coils. It is then glazed and fired in wood or gas fueled kilns. The exterior surface of the pottery is enhanced in the firing by fly ash from the wood-burning kiln or from soda vapor from the gas fired kiln. The wet clay is either formed on a potter’s wheel or hand built from slabs or coils into various pottery forms. Most of our forms are intended for functional pottery like bowls, platters, cups, serving dishes and vases. Various textures are created on the surface of the clay using textured stamps or by carving with various tools. The wet clay is then allowed to dry thoroughly. The next step in the process is the glazing. Glazes are the “glass-like” surface on the exterior of the pottery created from careful mixtures of various minerals. This mixture of minerals is combined with water and then applied to the surface of the pottery, usually by dipping or pouring the glaze on the pottery. When the pottery is fired in the kiln, the glazes melt to the surface, which not only seals it, but also adds color and enhances the surface texture of the pottery. The firing of the pottery transforms the clay and glazes into ceramic materials, rendering it hard and durable, as well as aesthetically pleasing. We spend several days carefully placing the pottery into our large, gas fired, brick kiln. The kiln is pre-heated over night, which carefully removes any moisture from the pottery, slowly increasing the temperature to 2400 degrees, which takes twelve hours. We also employ a special technique called soda vapor glazing. Using a sprayer, we spray a mixture of soda ash and water into the kiln toward the end of the firing cycle. 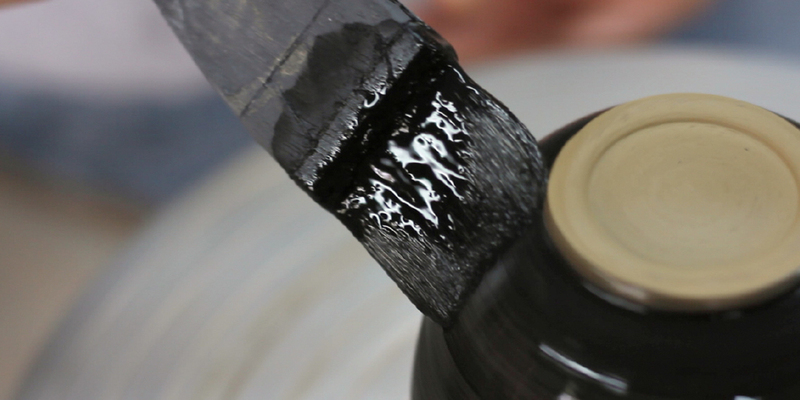 This soda vapor adheres to the surface of the hot pottery and adds sheen to its surface. The kiln is then allowed to cool for three days and then unpacked and delivered to the gallery.